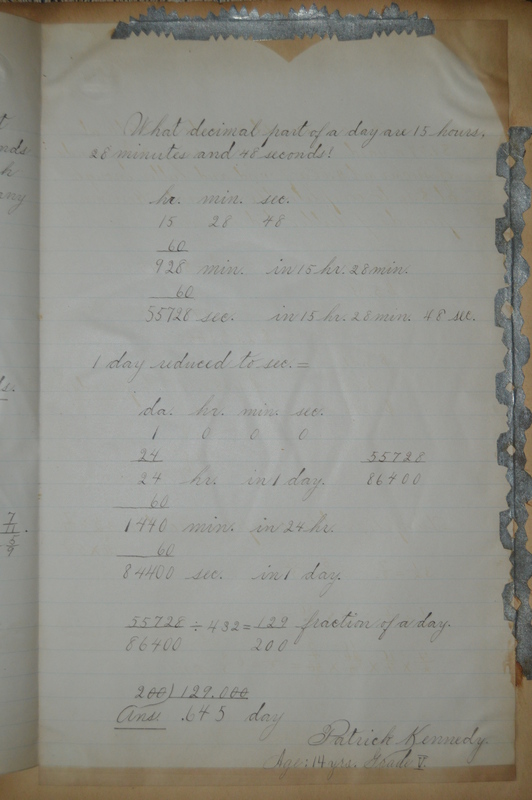 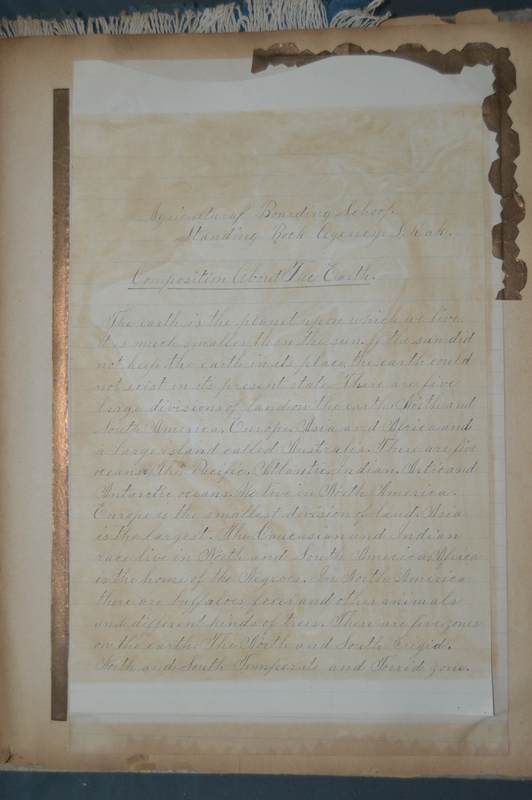 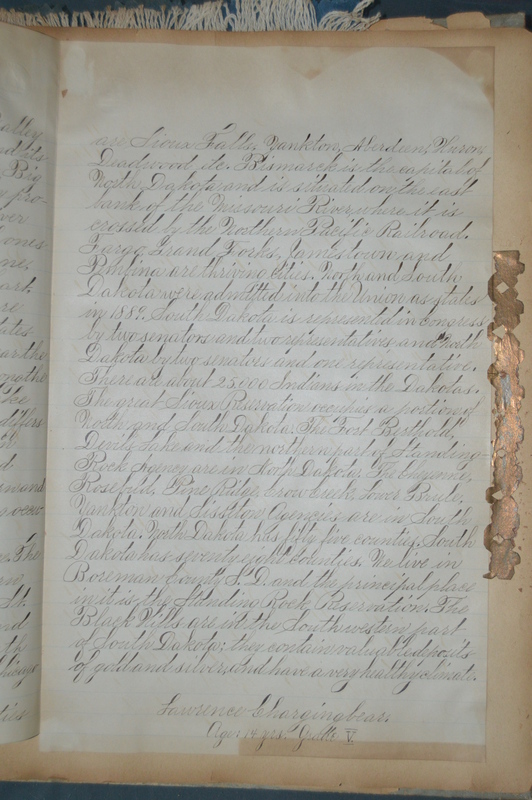 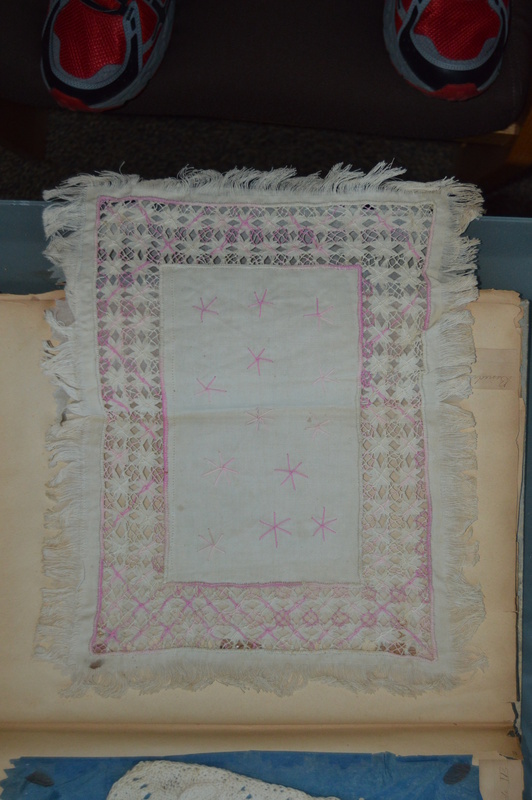 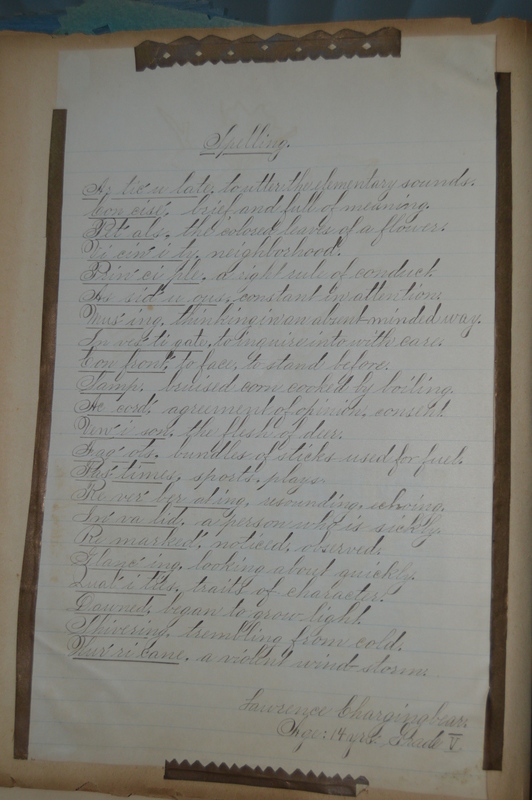 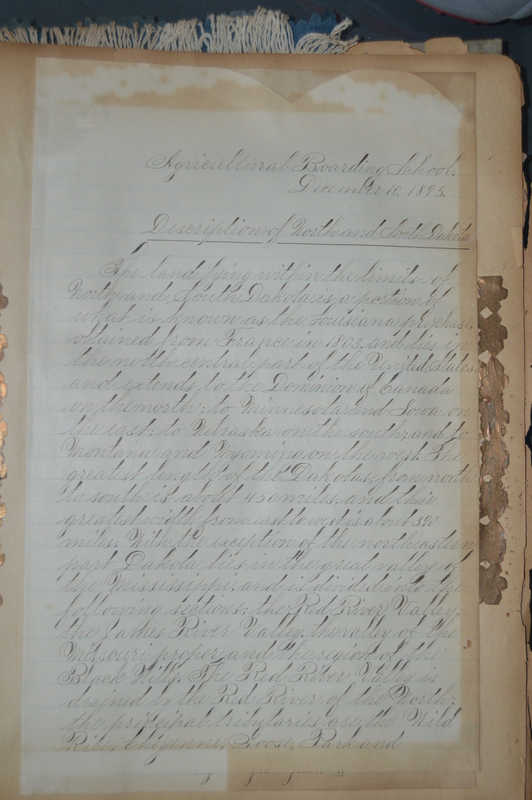 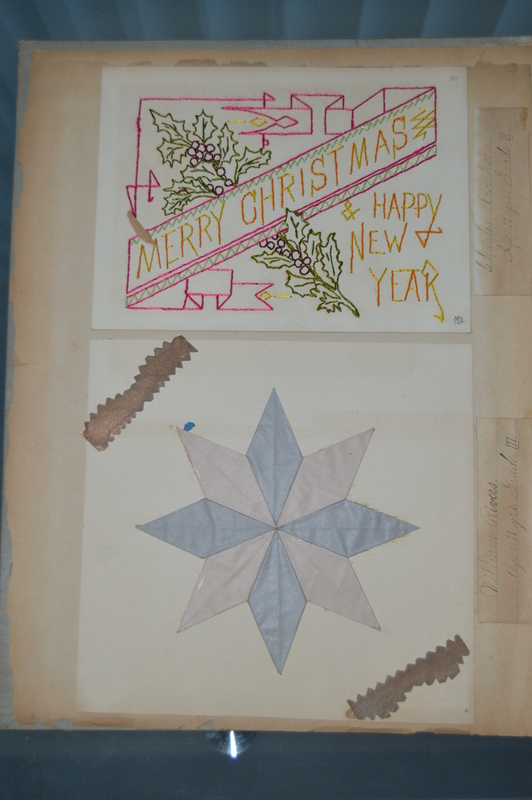 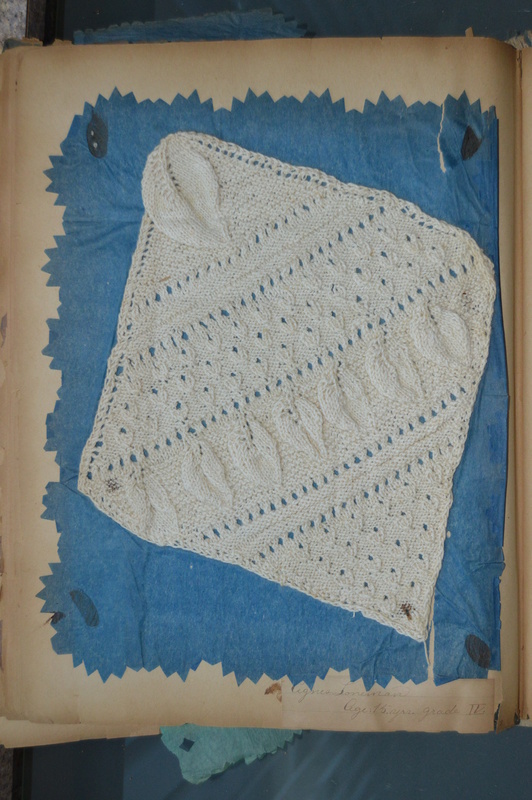 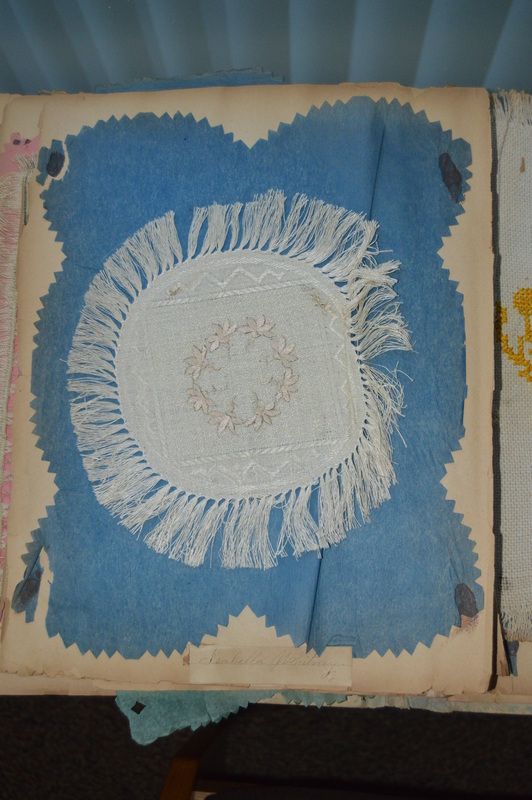 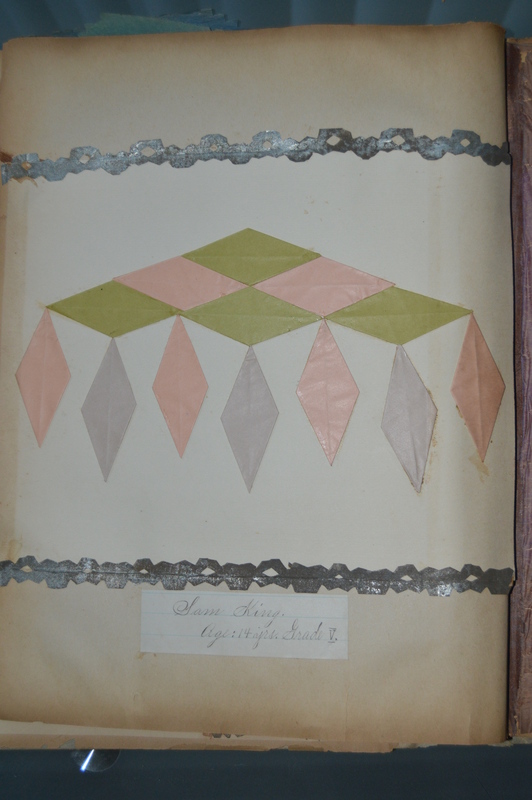 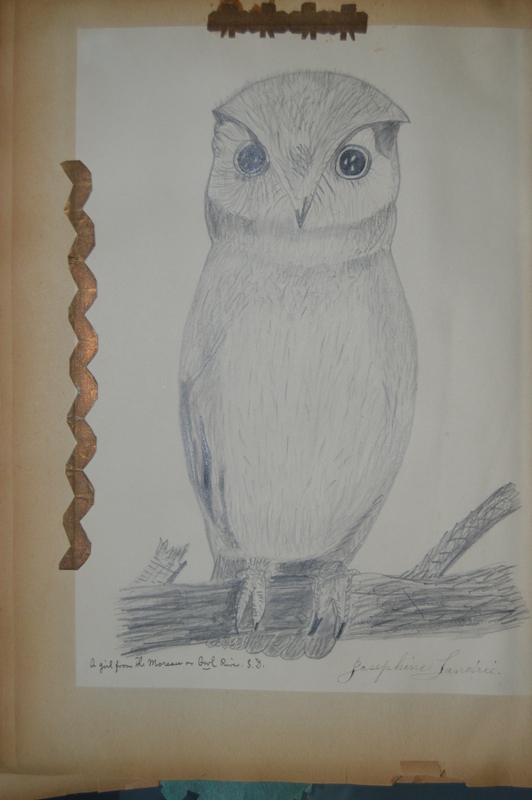 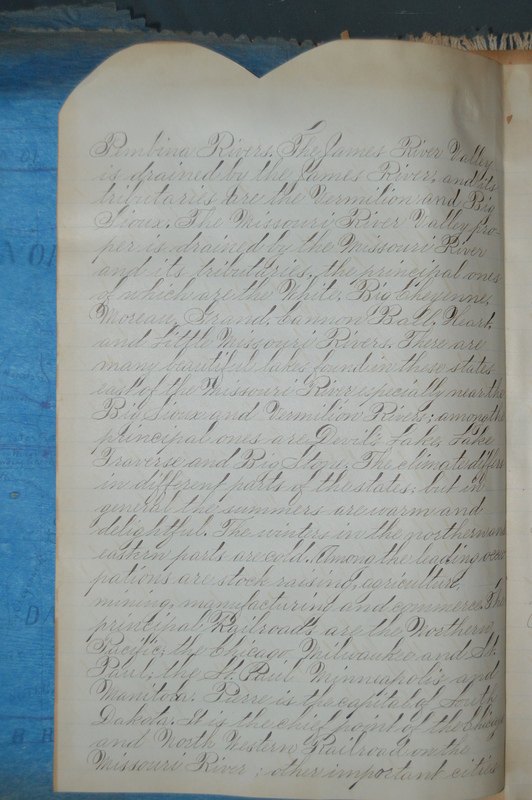 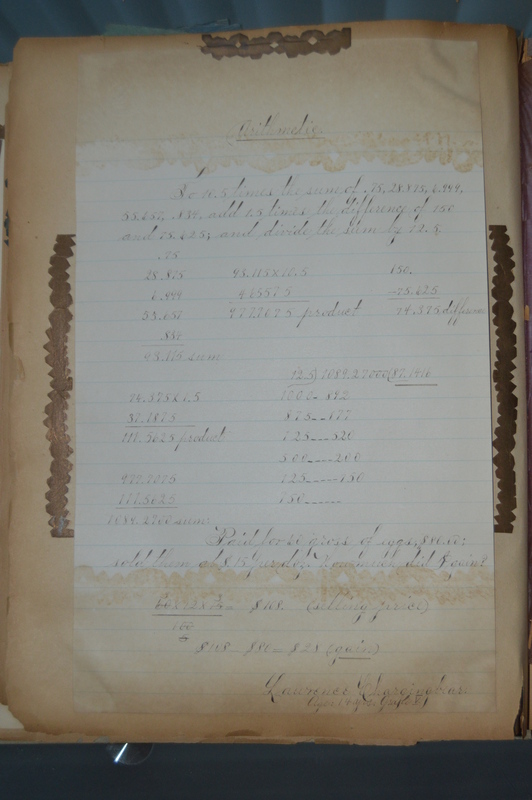 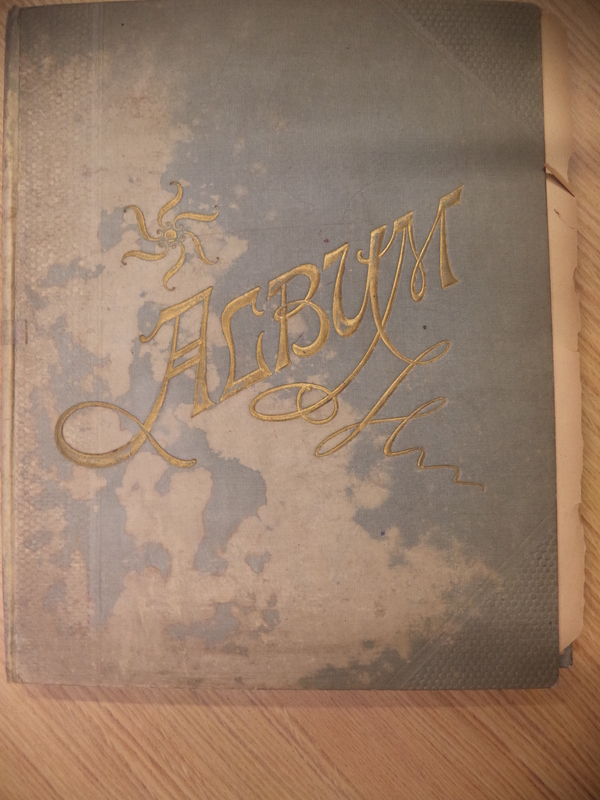 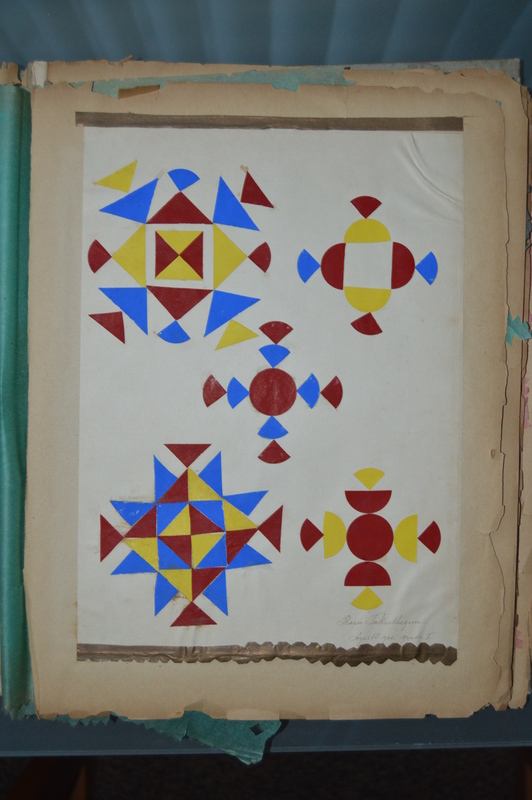 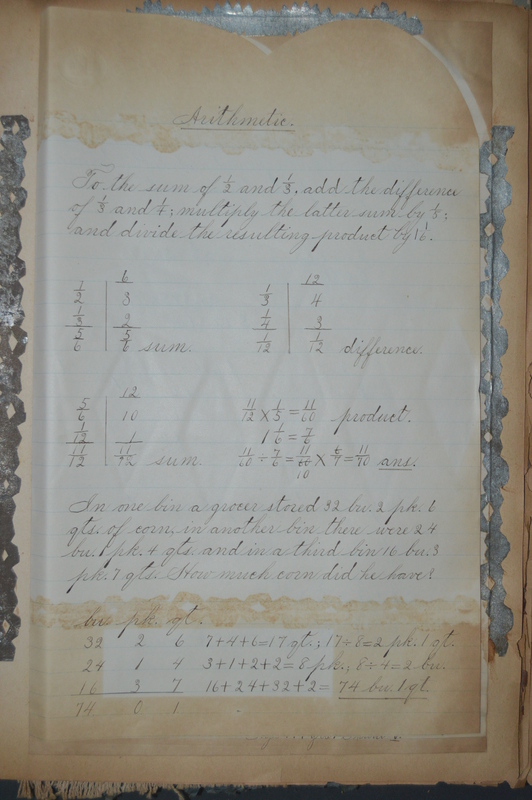 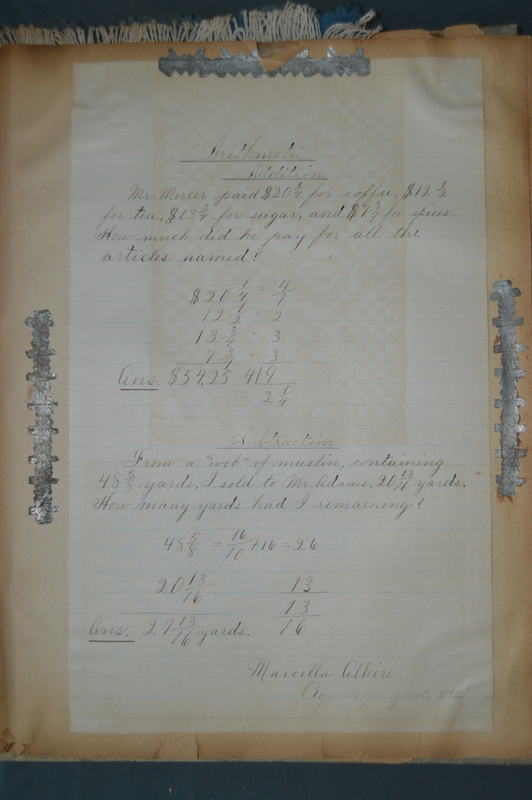 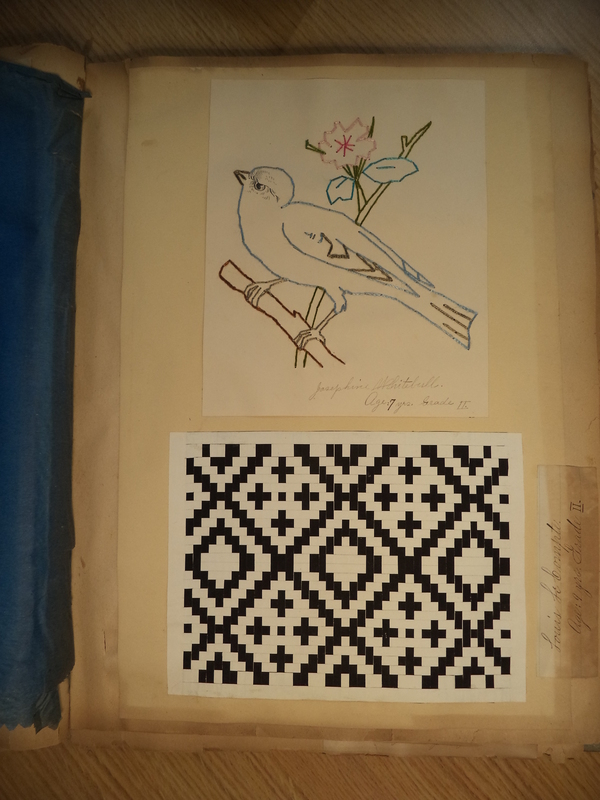 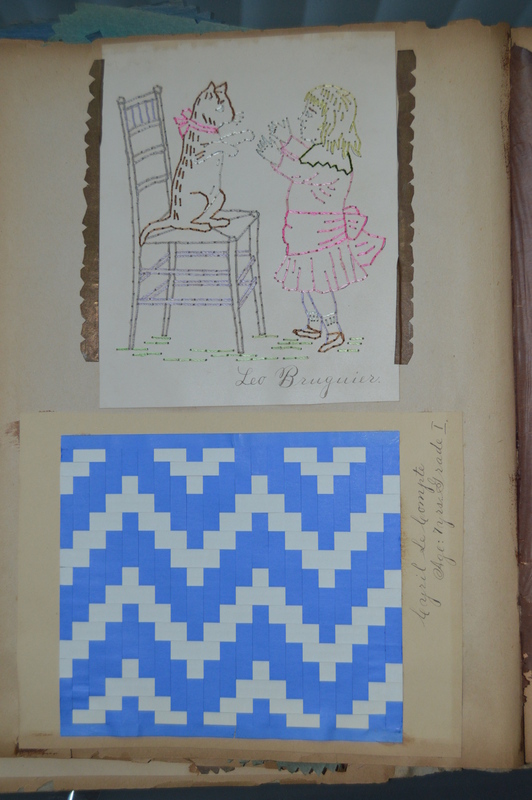 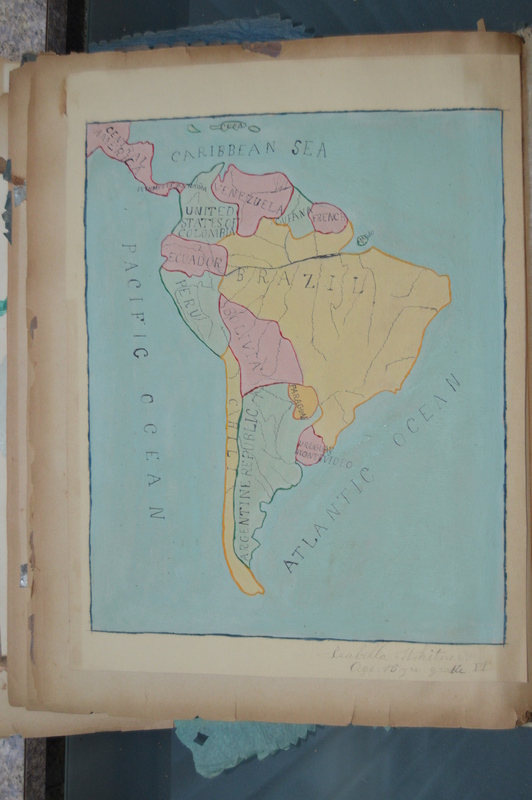 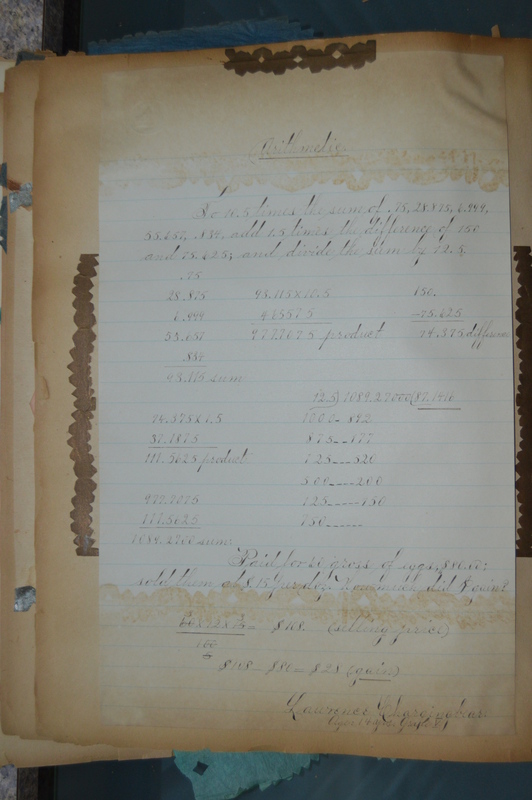 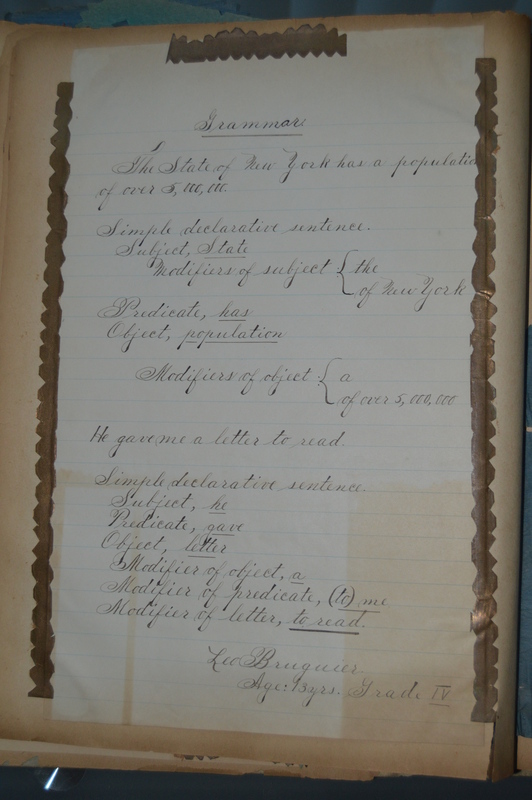 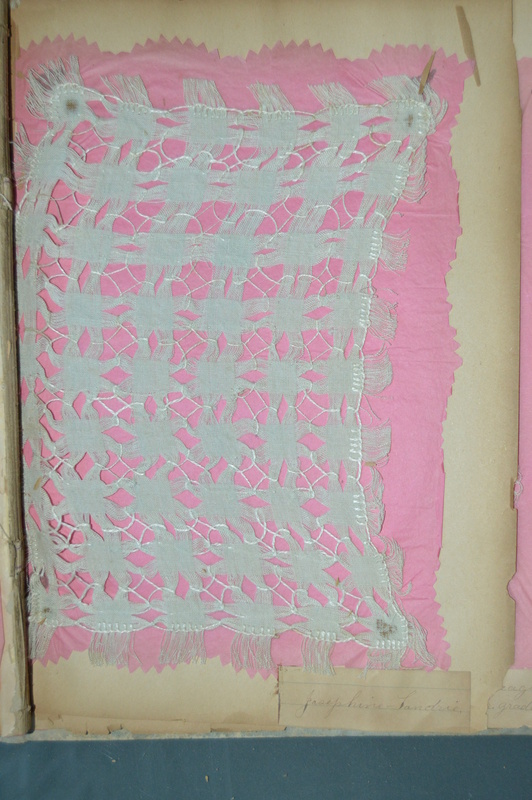 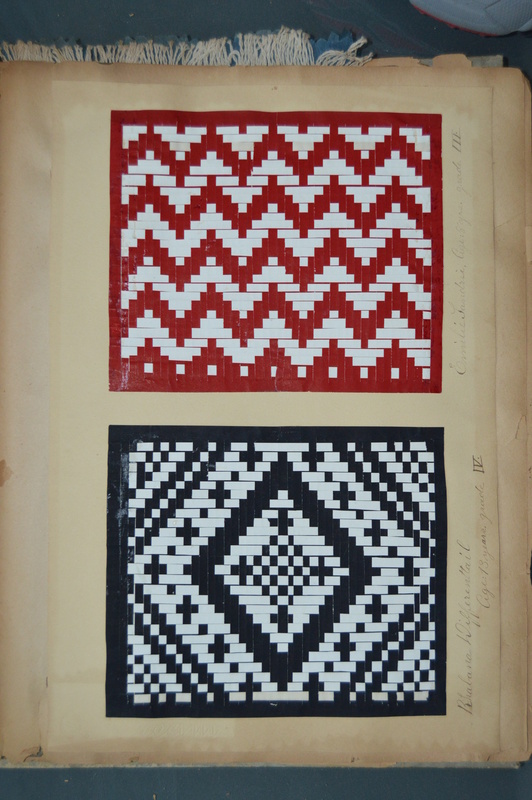 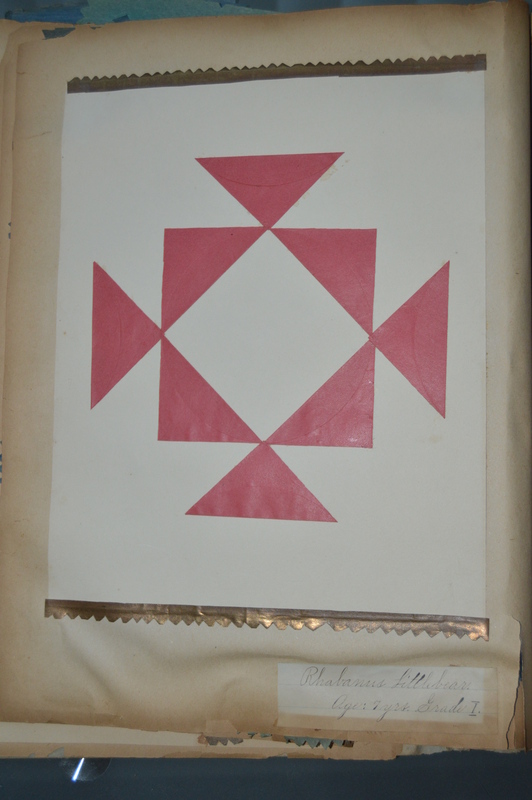 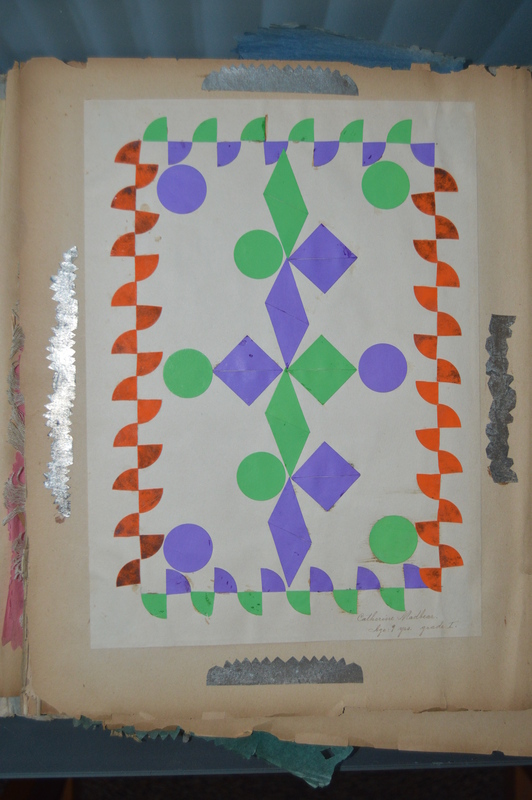 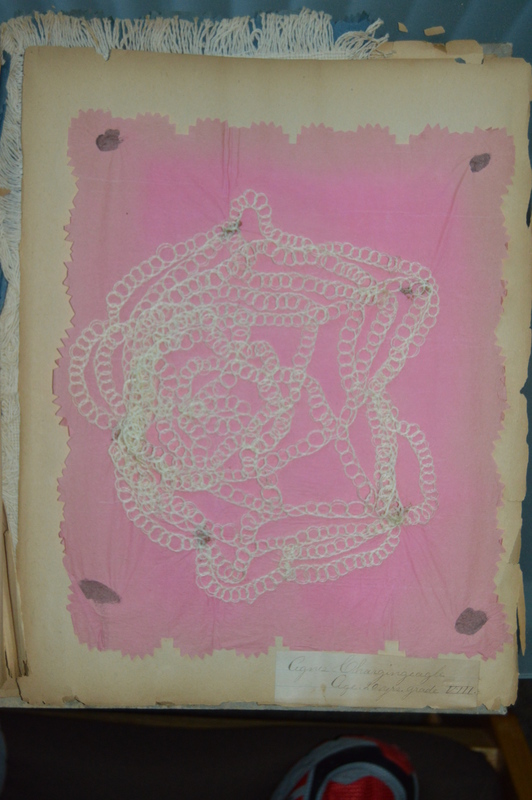 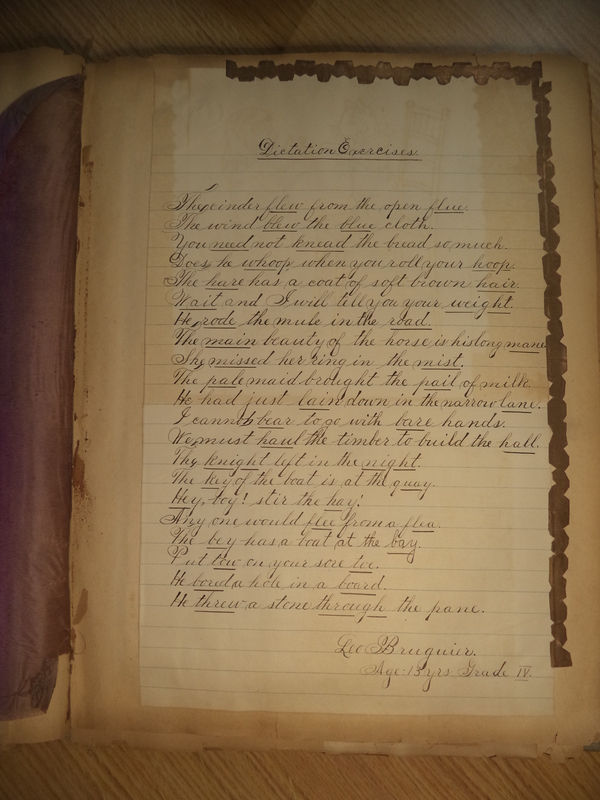 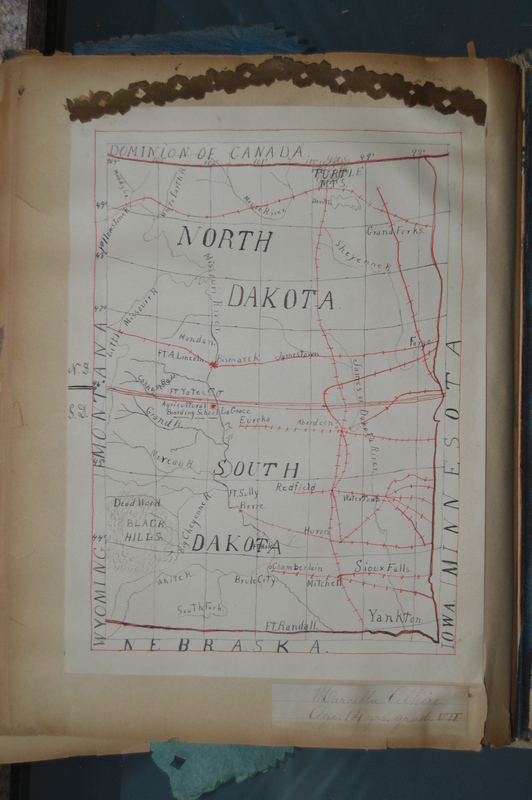 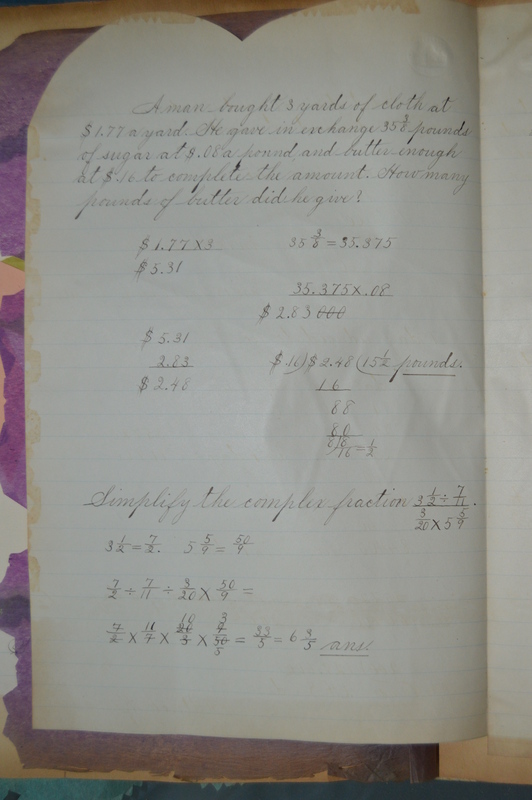 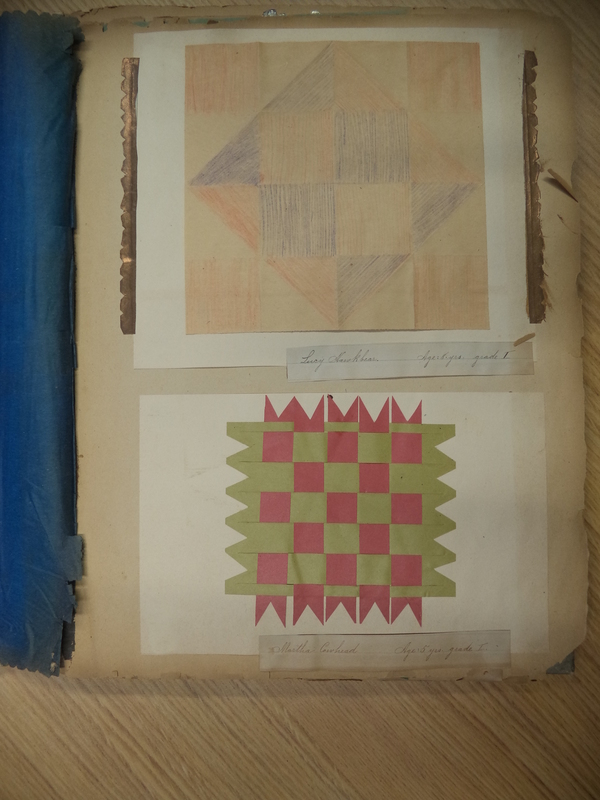 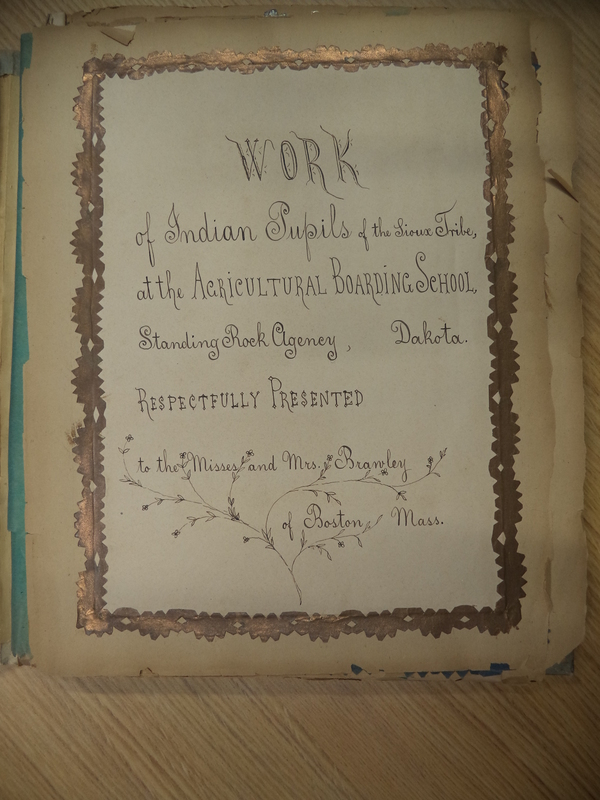 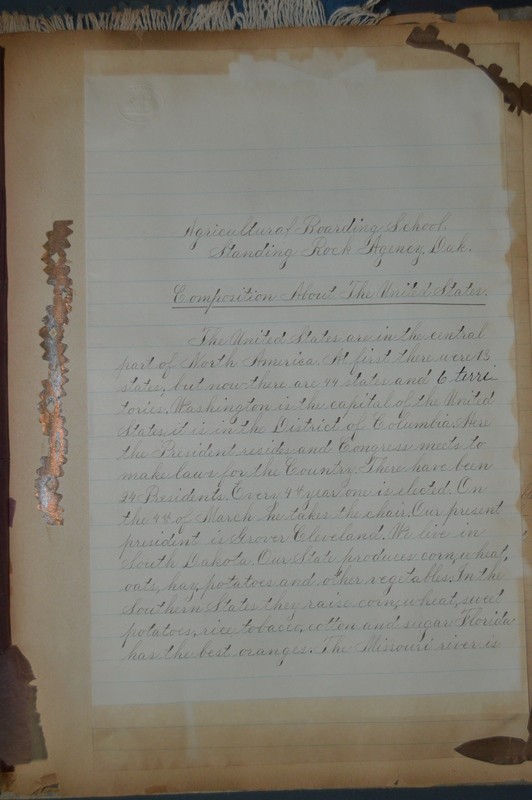 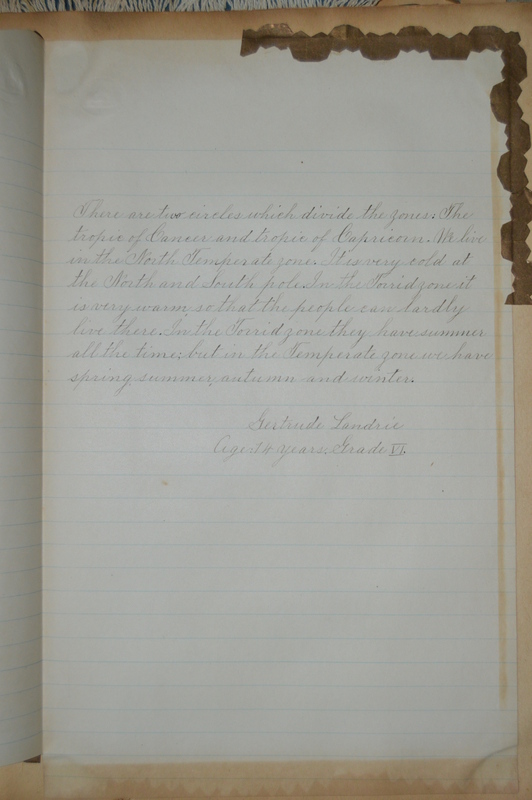 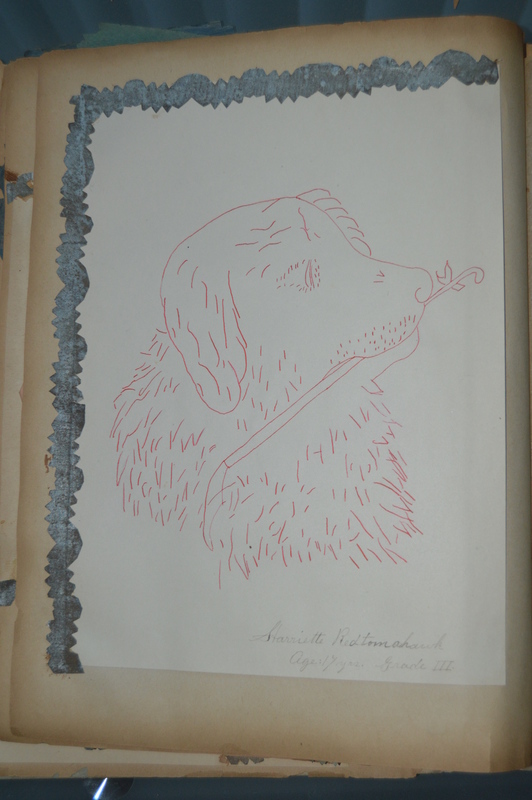 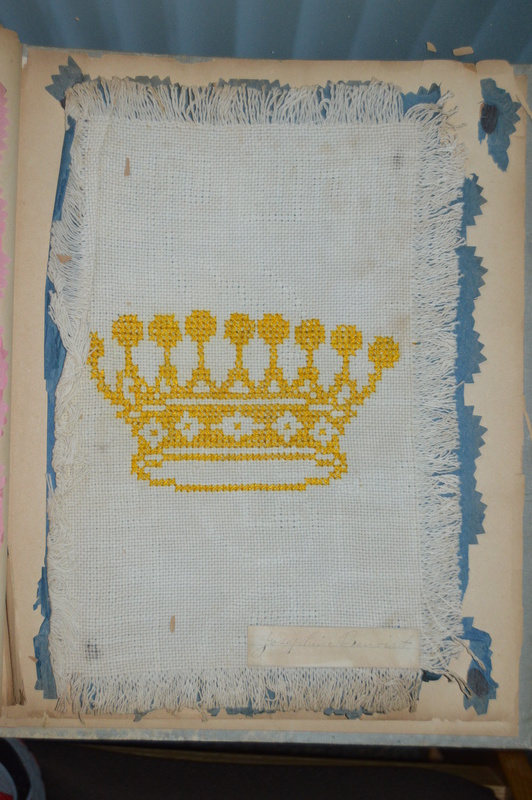 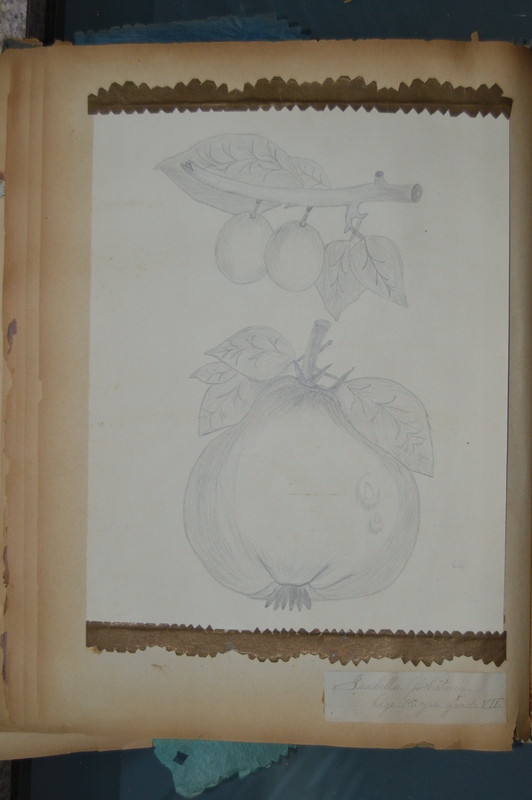 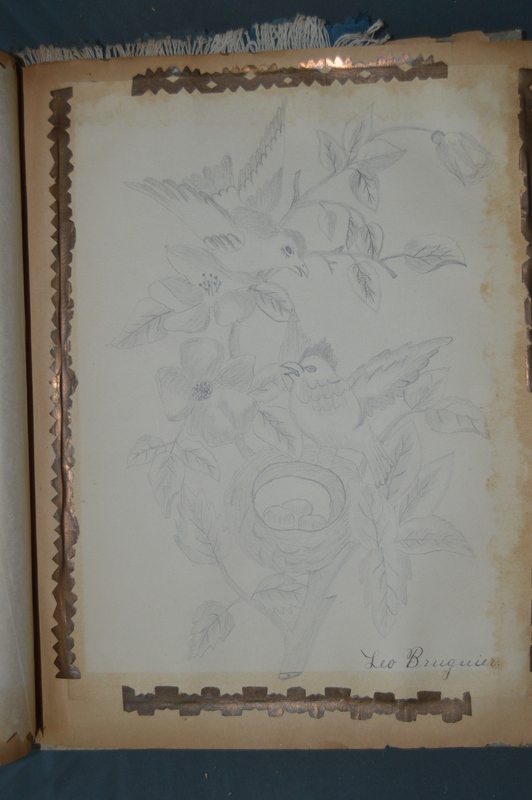 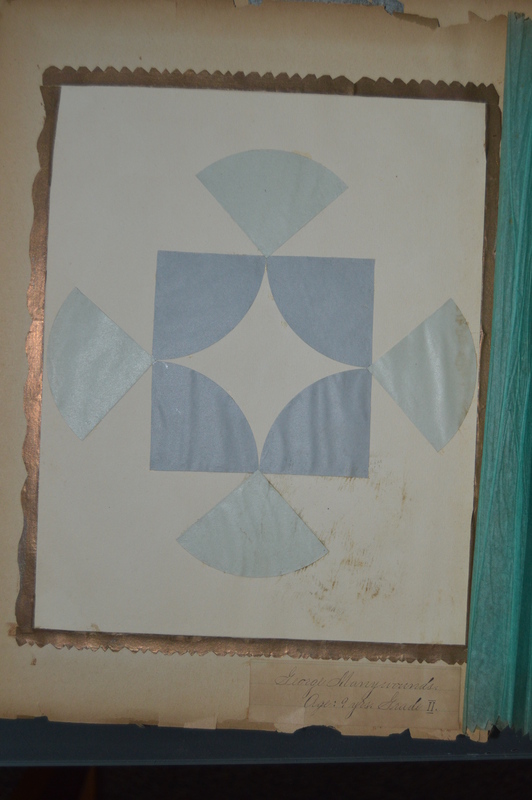 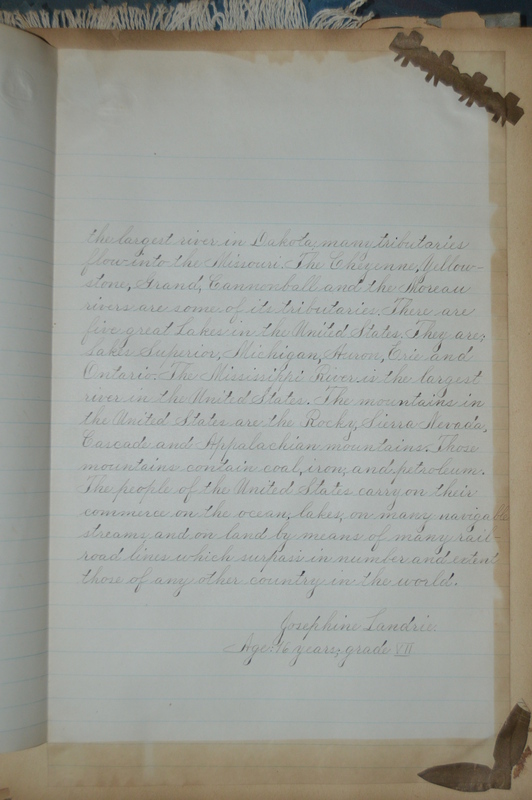 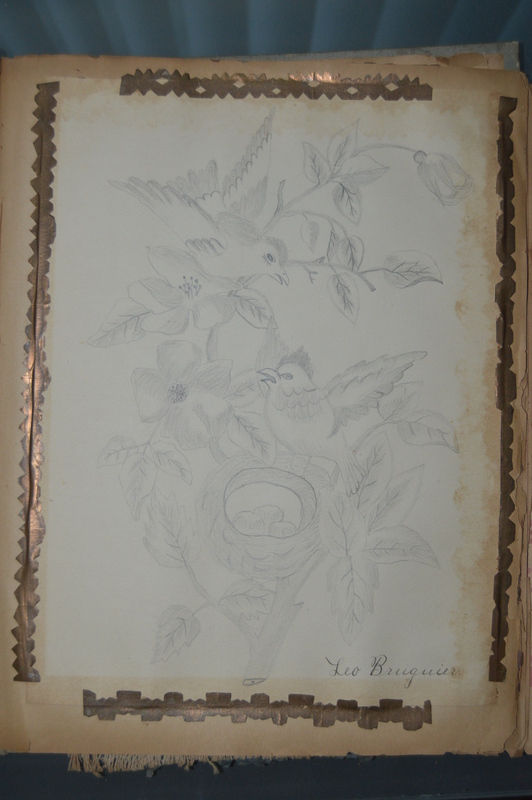 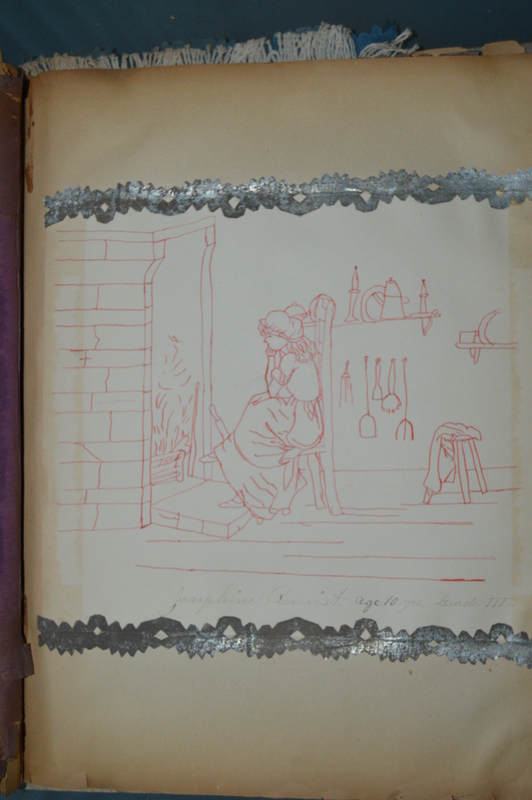 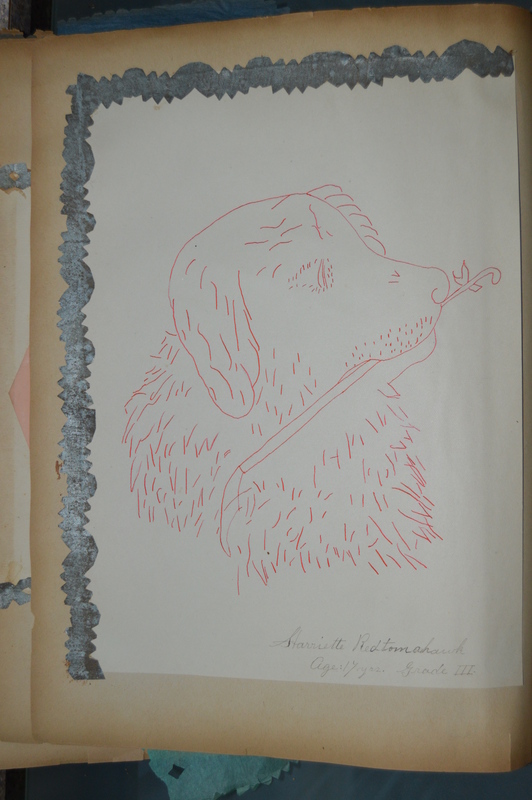 In 2015, the Marshfield Historical Society of Marshfield, Massachusetts donated an 1895 scrapbook from their collections that had originally been created by students at the Agricultural Boarding School in Kenel, South Dakota. 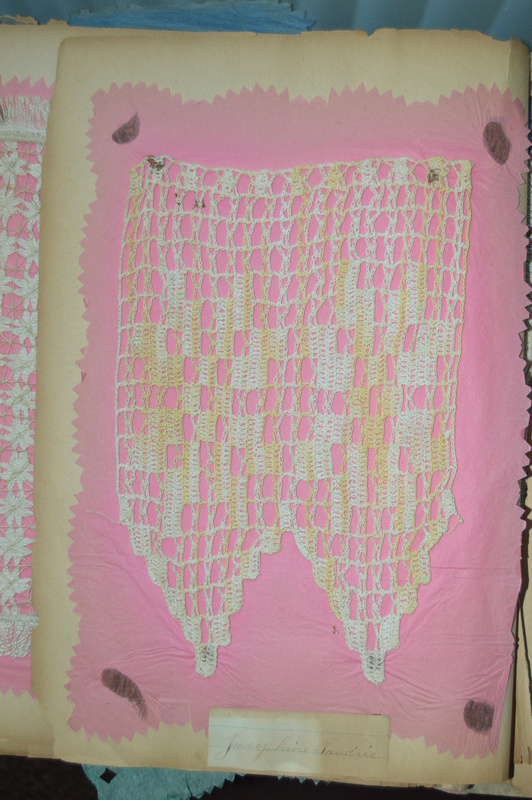 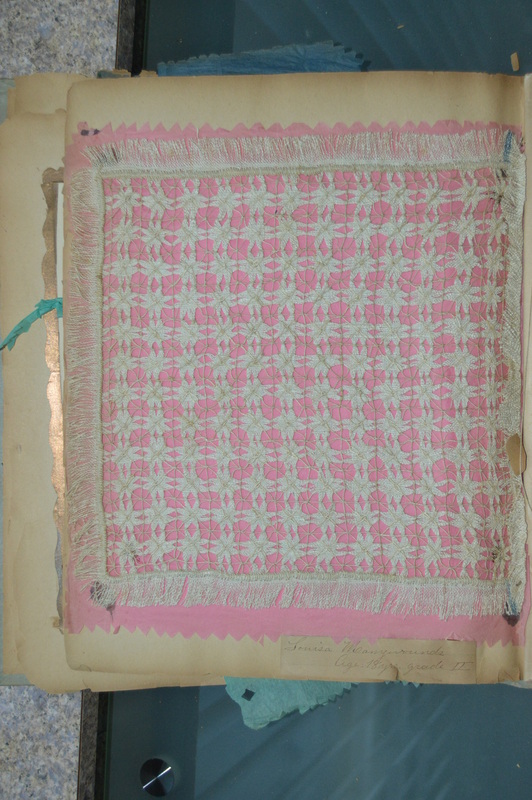 The collection consists of essays and student work in beautiful handwriting as well as artwork consisting of drawings, woven paper, crochet and weaving. 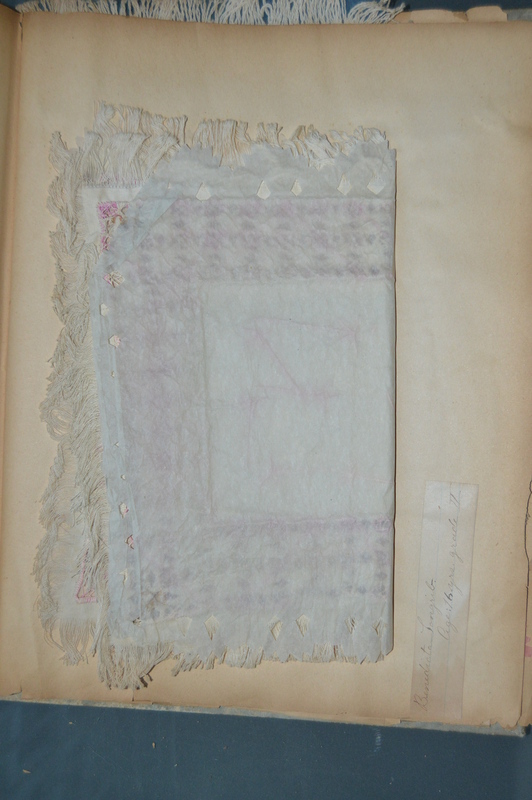 The pages of the book can be found below. 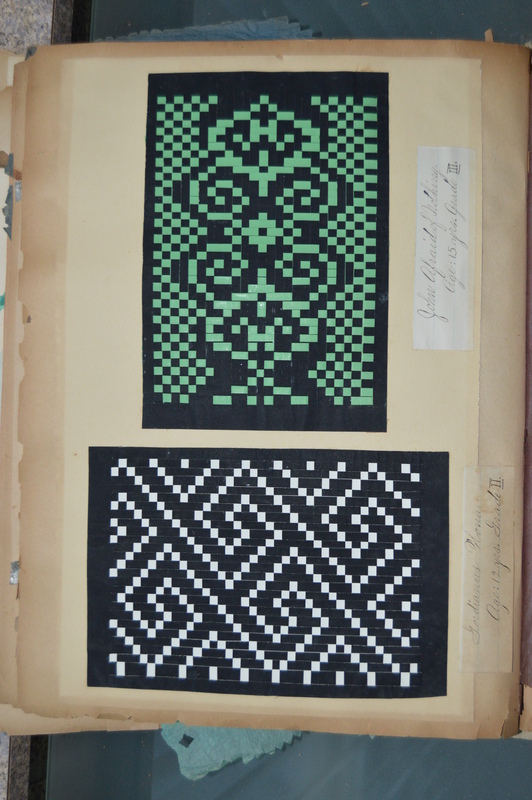 To look at the image and zoom in, simply click on each image. 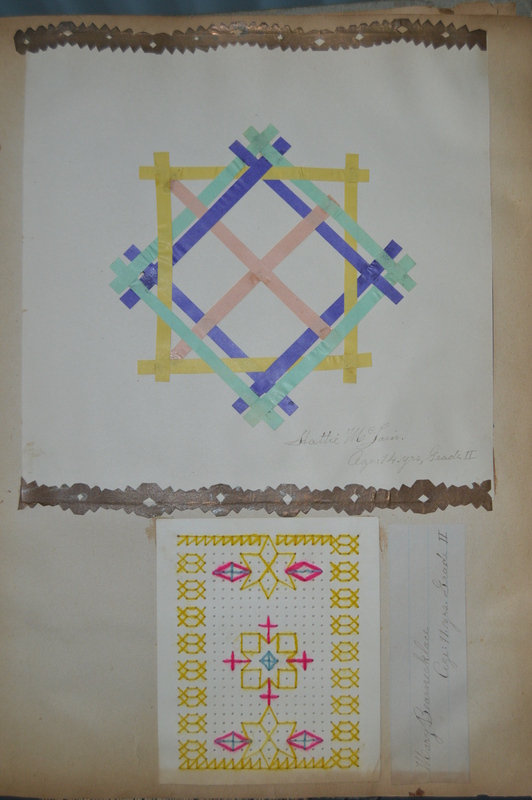 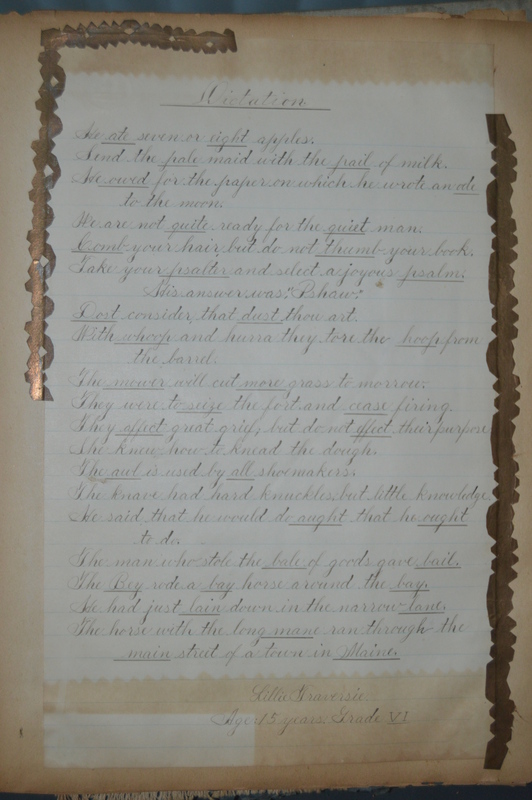 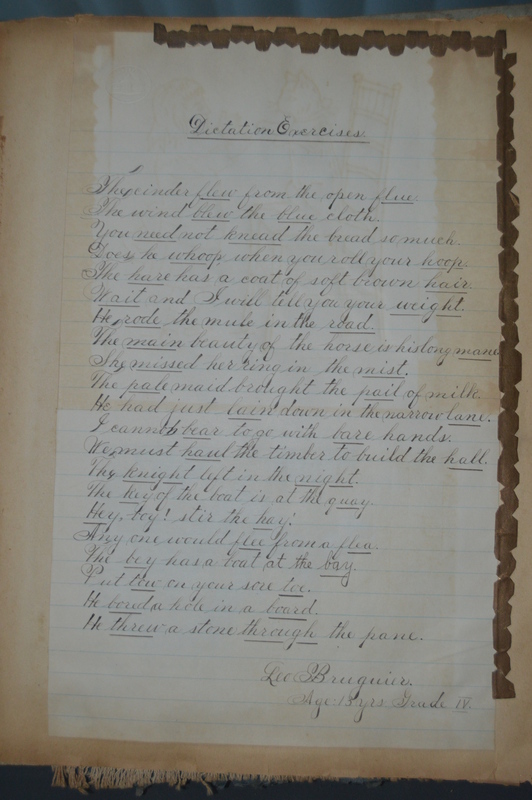 Each of the items in the scrapbook was individually authored or created by a student at the school including: Lee Brugier, age 13, grade 4; Patrick Kennedy, age 14, grade 5; Strariette Red Tomahawk, age 11?, grade 3; Lawrence Charging Bear, age 14, grade 5; Josephine Benoist, age 10, grade 3; John Afraid of Nothing, age 15, grade 3; Gordianus (Hona? 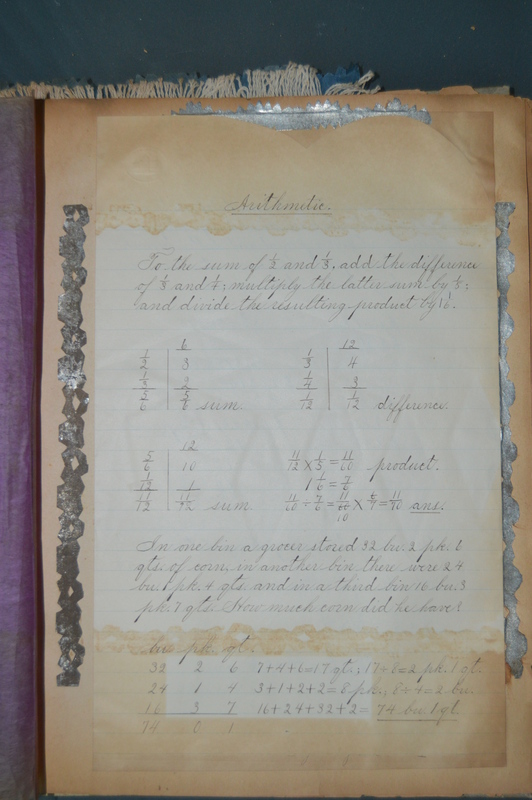 ), age 12, grade 2; Marcella Alkire, age 12, grade 7; Isabella Whitner, age 15, grade 3; Gertrude Landrie, age 14, grade 6; Josephine Landrie, age 16, grade 7; Isabella Whitney, age 15, grade 7; Rhabana Different Tail, age 13, grade 4; Emile Landrie, age 8, grade 3; Marcella Alkire, age 14, grade 7; Lawrence Charging Bear, age 14, grade 5; Agnes Loneman, age 15, grade 4; Benadictus Lone Girl, age 16, grade 2, Louisa Many Wounds, age 18, grade 2; Agnes Charging Eagle, age 20, grade 8; Lucy Hawk Bear, age 8, grade 1; Martin Cow Head, age 5, grade 1; Josephine White Bull, age 7, grade 2; Louis LeCompte, age 9, grade 2; George Many Wounds, age 9, grade 2; Catherine Mad Bear, age 9, grade 1; Lawrence Charging Bear, age 14, grade 5; Sam King, age 14, grade 4; Lillie Traversie, age 15, grade 6; Cyril LeCompte, age 7, grade 1; William Rivers, age 11, grade 3; Patrick Kennedy, age 14, grade 3; Mary Bear Necklace, age 11, grade 2; Scottie Mclain?, age 11, grade 2; Rosie Takes the Gun, age 10, grade 1.